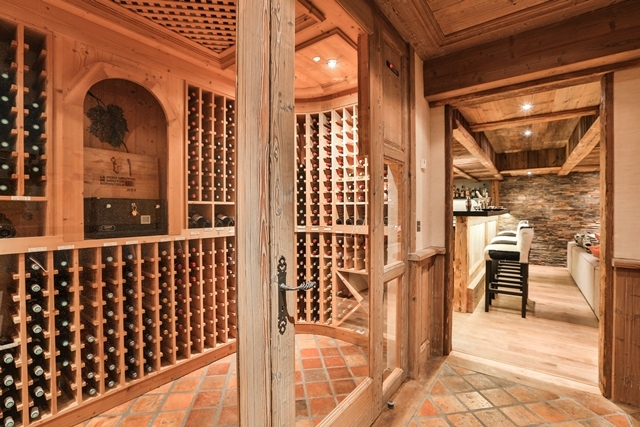 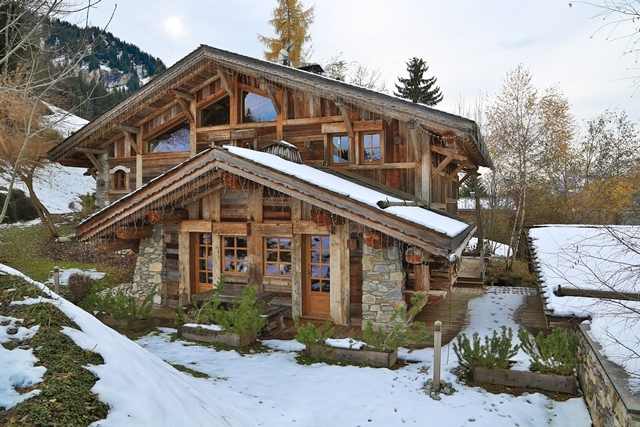 Large luxury chalet 100 meters away from Rochebrune ski runs. 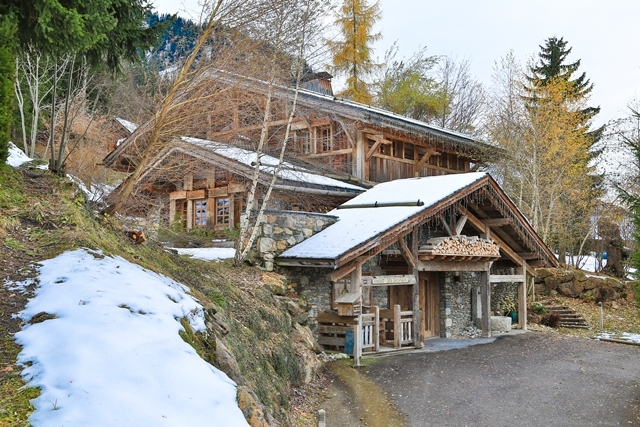 Ideally located on the massif de Rochebrune, a few meters away from the ski runs, but also close to the town center. 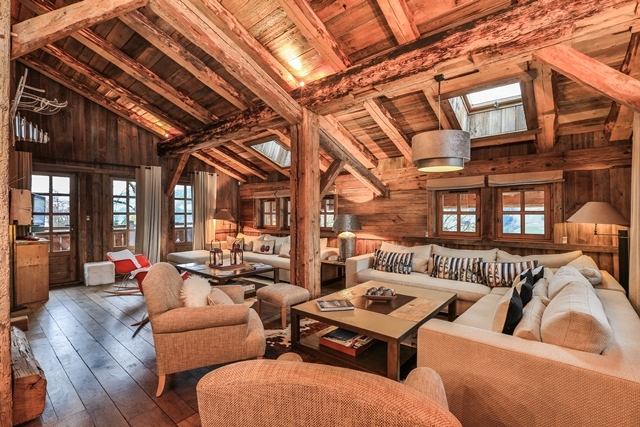 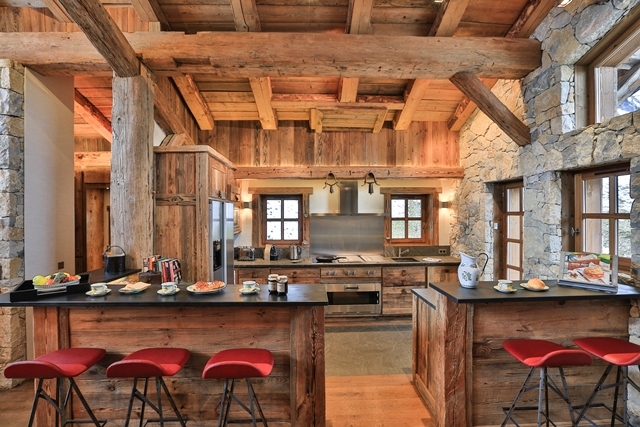 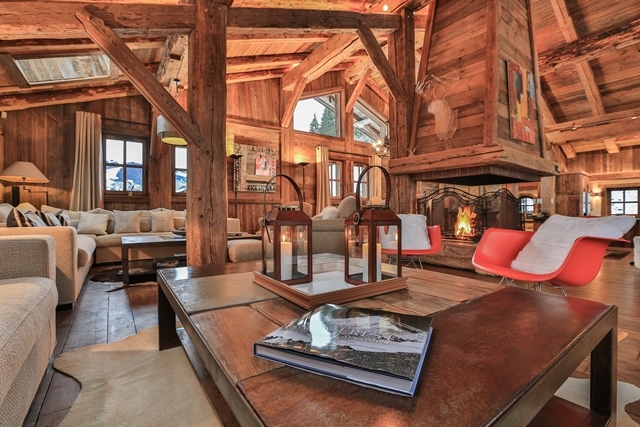 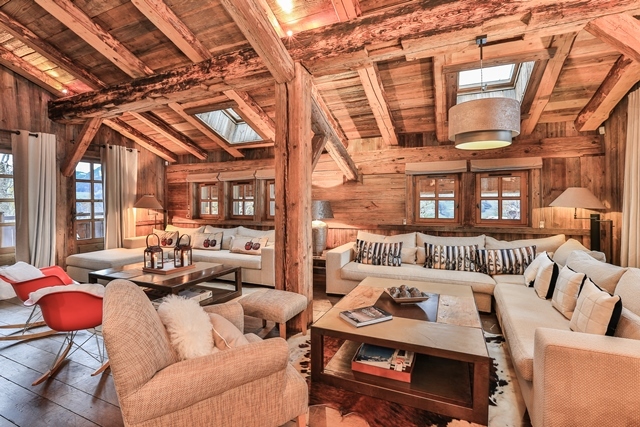 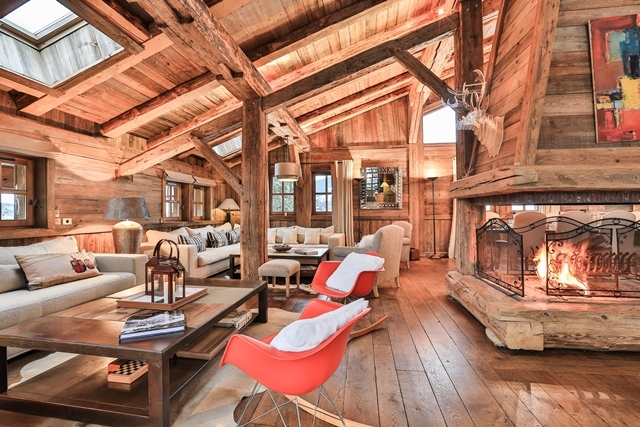 This chalet will delight its occupants with its perfect mix of a Megevan style and modern decoration. 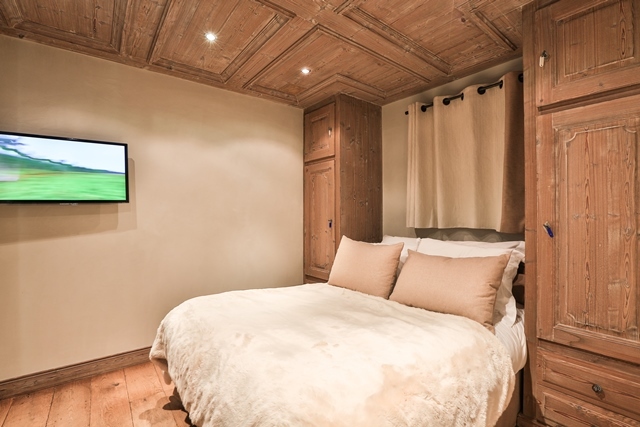 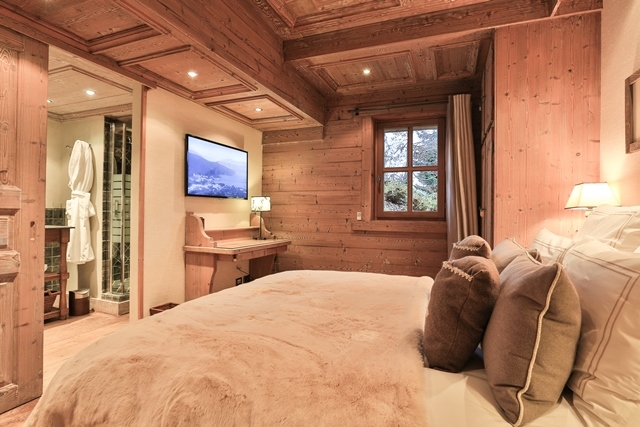 Combining spacious rooms and sophisticated decoration, the chalet Paloma provides a charming atmosphere made of luxury and tradition. 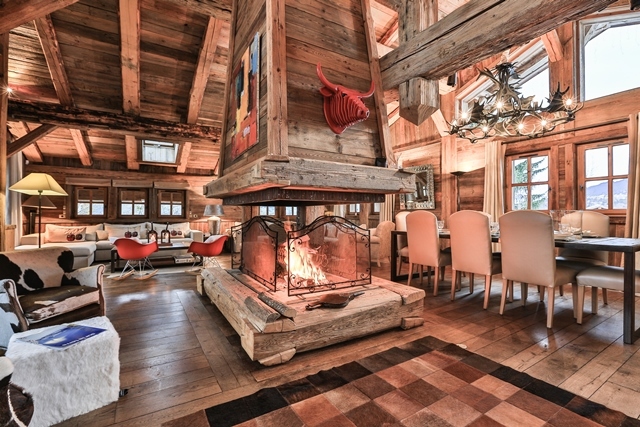 The open fireplace is surrounded by two living rooms and one dining area offering a large space to share unforgettable family or friend moments. 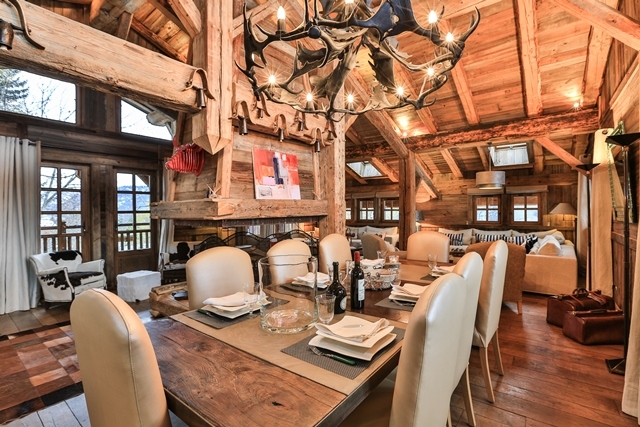 Chalet Paloma will surprise you with its 5 meter high ceilings and an amazing view of the Mont-Blanc massif and the téléphérique de Rochebrune as well. 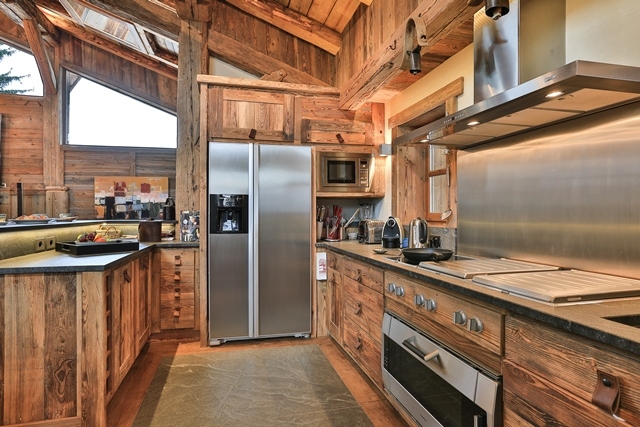 The fully kitted kitchen is perfectly integrated in the room and will allow your chef to cook fancy meals with local fresh products. 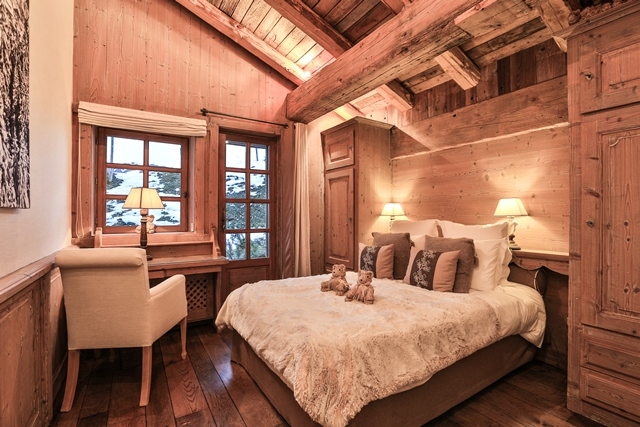 In total, there are five bedrooms, which are warmly and intimately decorated. 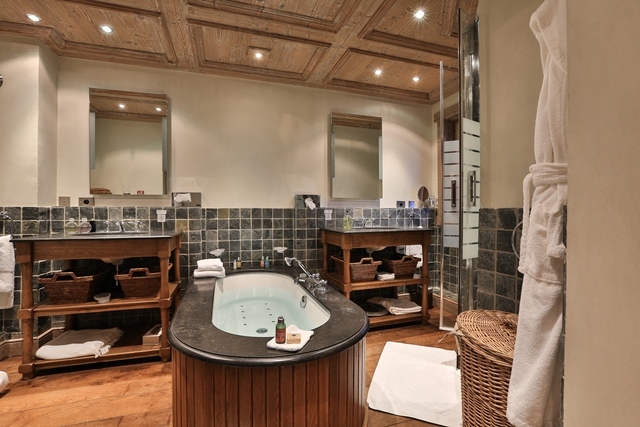 The master bedroom allows direct access to the terrace with its outdoor jacuzzi, all of this in complete harmony with nature without no vis-à-vis. 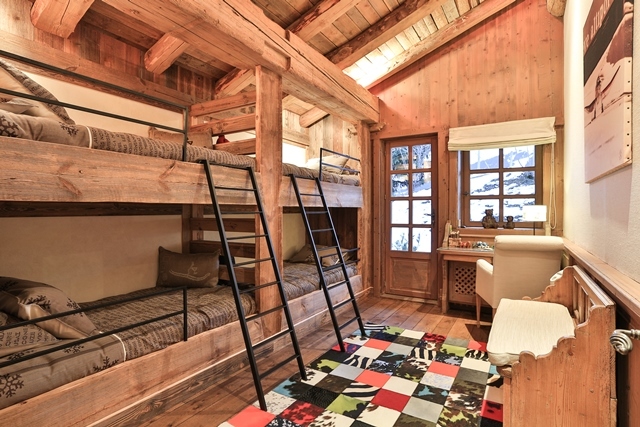 The children dormitory will delight your children with its cheerful and colorful decoration. 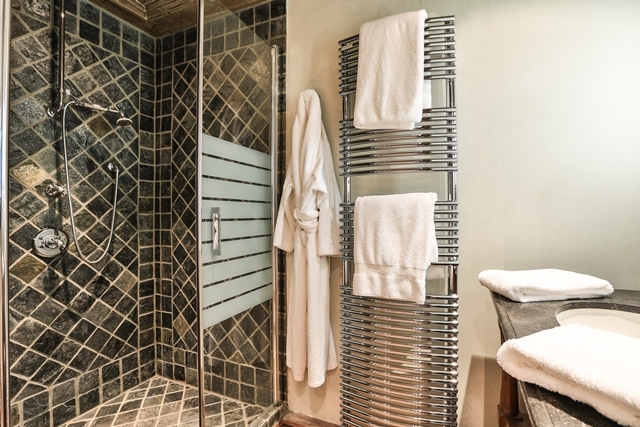 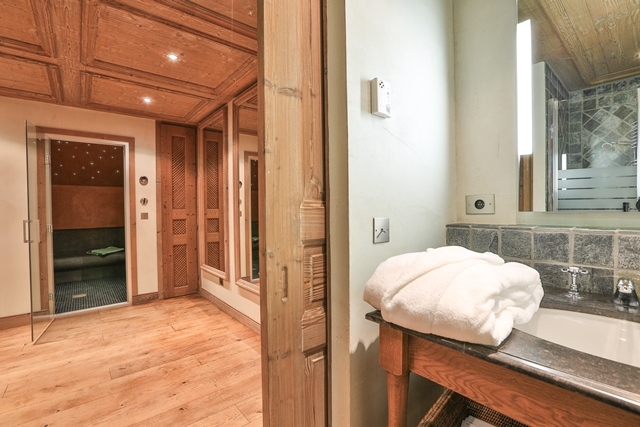 For your after-ski pleasure, you will be able to relax in the outdoor jacuzzi or enjoying the light therapy hammam. 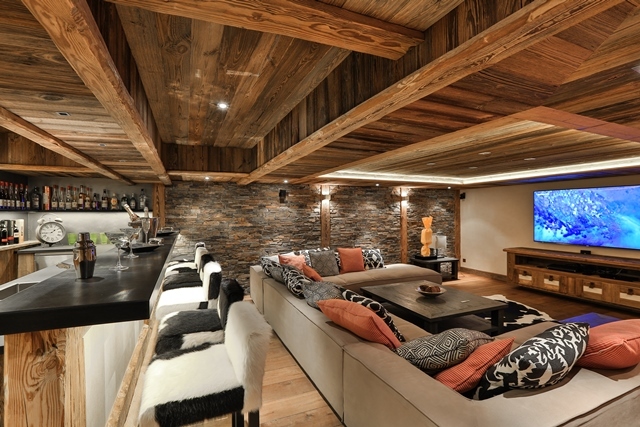 Enjoy a pre-dinner drink at the bar or allow you a magic moment watching your favorite movie in the cinema room. 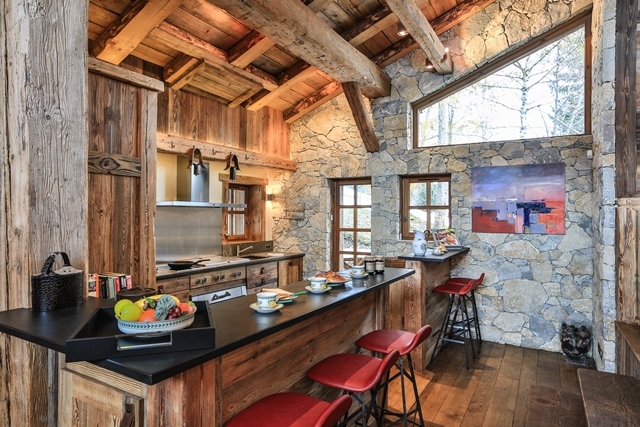 room with washing machine and dryer. 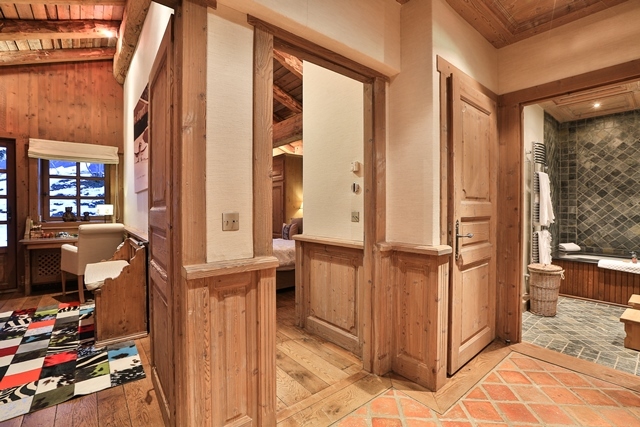 terrace access.One double bedroom, desk, terrace access. 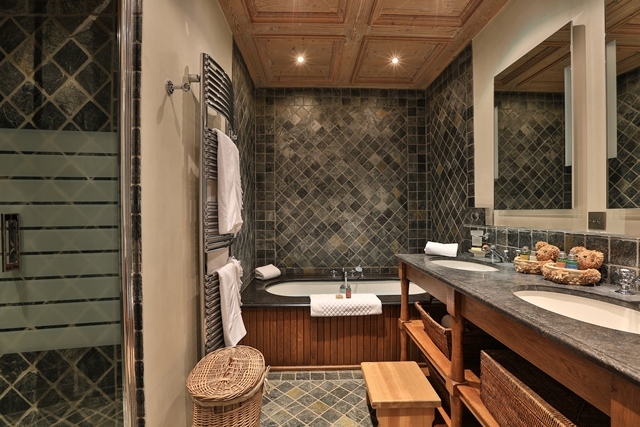 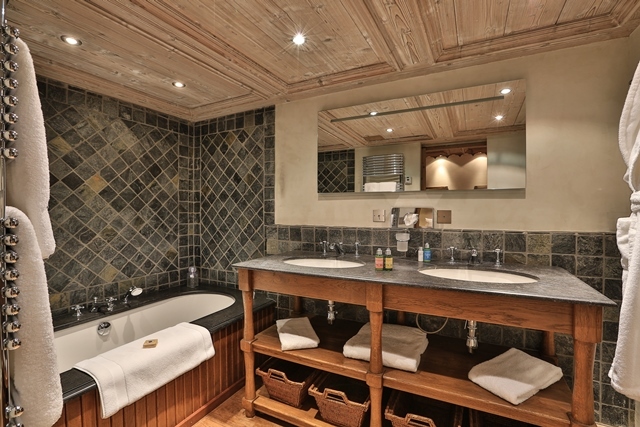 bathroom with shower and bath, twin vanity sinks and toilets. 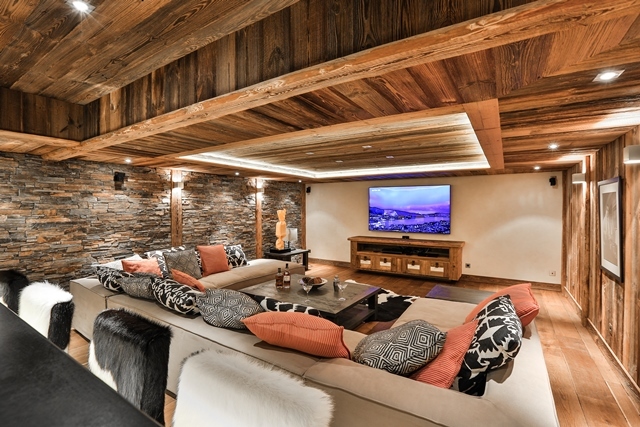 Double living room with TV, Blu-ray and audio system.